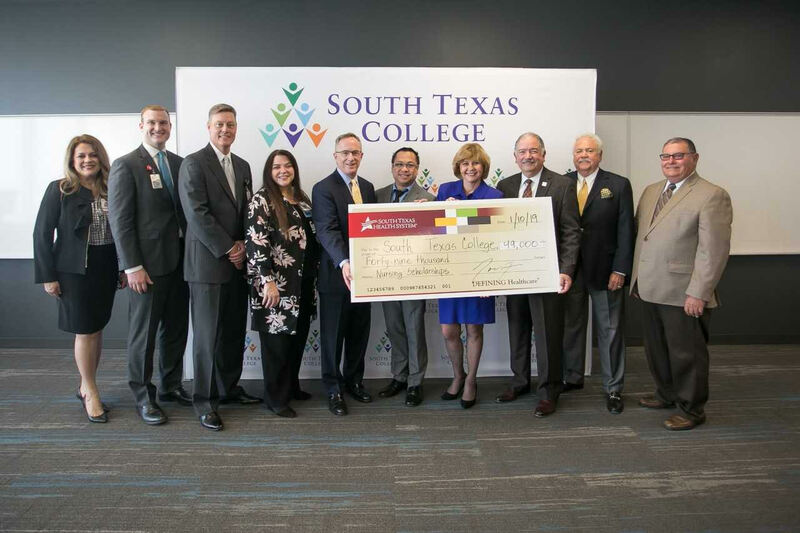 South Texas Health System is now providing a $49,000 scholarship to student of South Texas College’s Nursing and Allied Health Division. 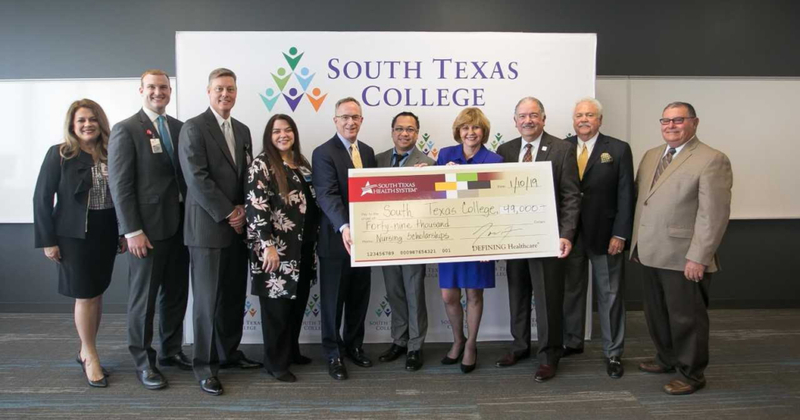 The announcement came Jan. 10 at a check presentation of the funds meant to help reduce financials burden and provide assistance upon continuing education. To apply for the scholarship, students must currently have enrollment in STC’s Associate of Applied Science or any healthcare degree. Students must have a GPA of 2.5 in all course work as well as pass all the course work with a C or better. Students must also be taking 12 credits per semester. For more information on the scholarship, contact Judy Martinez at 956-872-2108.